Are You Ready for Your Wisdom Teeth? When you reach the age of 16, your family dentist will probably want to discuss your wisdom teeth. These final four permanent teeth, also called third molars, arrive much later than your others. They are located behind your molars in the very back of your mouth at the top and bottom of your jaw on each side. Some people’s wisdom teeth arrive with no problems and they function the same as other teeth. Unfortunately, many people have impacted wisdom teeth that are unable to emerge from beneath the gum tissue. When this happens, they must be surgically extracted. Impaction and Wisdom Teeth Pain Because there isn’t much room left in your mouth for them to grow in, wisdom teeth can become trapped inside your jaw in a variety of positions. Some are easier to remove than others. A few lucky people never develop third molars. If you’re one of them, your family dentist will let you know. When wisdom teeth are impacted, they may cause pain, swelling, and soreness. A simple x-ray can reveal if you have an impacted tooth that needs to be extracted. Getting your wisdom teeth taken out early in life makes the process easier. When you’re older, the roots are better formed, and the bone surrounding your teeth is denser. Older nerve tissues don’t heal as easily either, so the wisdom teeth extraction process for adults can be more painful and complicated. What to Expect After Wisdom Teeth Extraction Your wisdom teeth will be extracted by a general dentist or an oral surgeon. The procedure only lasts a few hours, but recovery may take up to two weeks. You can expect some degree of pain and swelling after the surgery, but your family dentist or oral surgeon will provide medication to ease your symptoms. You will probably have to miss a few days of school, and you’ll need to eat a soft diet for a few days while your mouth heals. 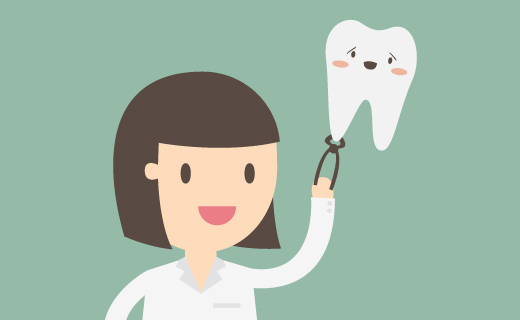 Most extractions go smoothly, and you’ll be back to your old self soon. To get the dental care you deserve from an affordable dentist in Atlanta, call today at or make an appointment. Dental One Associates offers affordable family dentistry and gentle, compassionate dental care in Atlanta. With 8 affiliated practices throughout Georgia, our offices are conveniently located with extended hours to meet your needs. At , we provide most dental services, from basic preventative care and general dentistry to specialized procedures and complete dental reconstruction. We accept most dental insurance plans and offer affordable financial solutions for any budget. Patient satisfaction is our top priority and we strive to provide the exceptional, affordable dental care and personal touch that lead to lasting relationships. A smiling patient is our greatest reward and we look forward to keeping those smiles healthy, beautiful, and bright. Discover an affordable dentist who truly cares at .